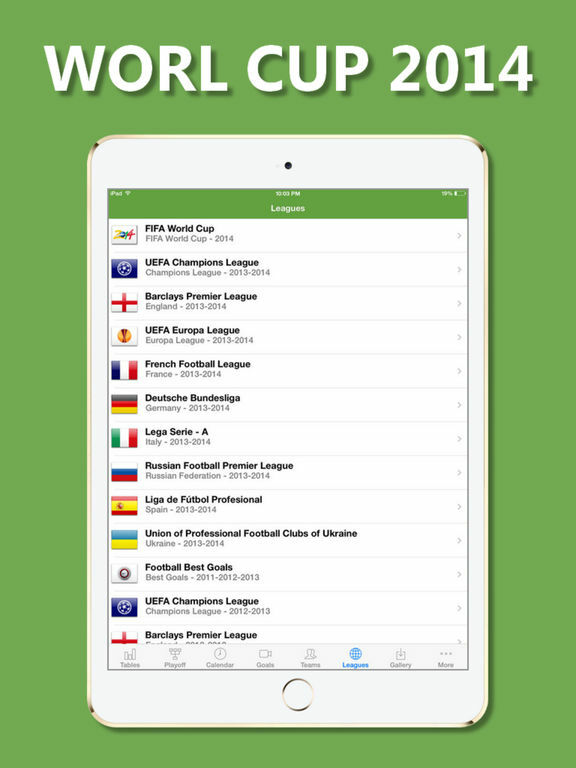 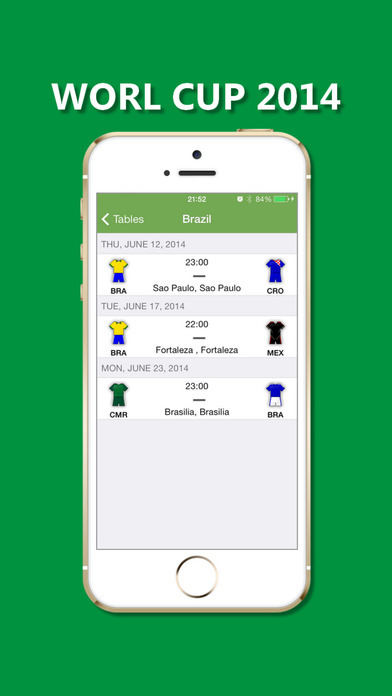 "World Football 2014 - with Video of Reviews and Video of Goals" - is an application about World Cup 2014. 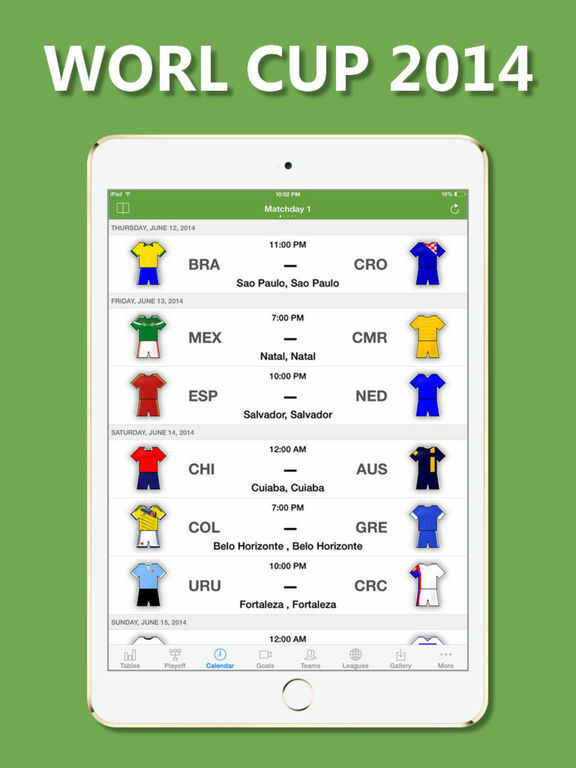 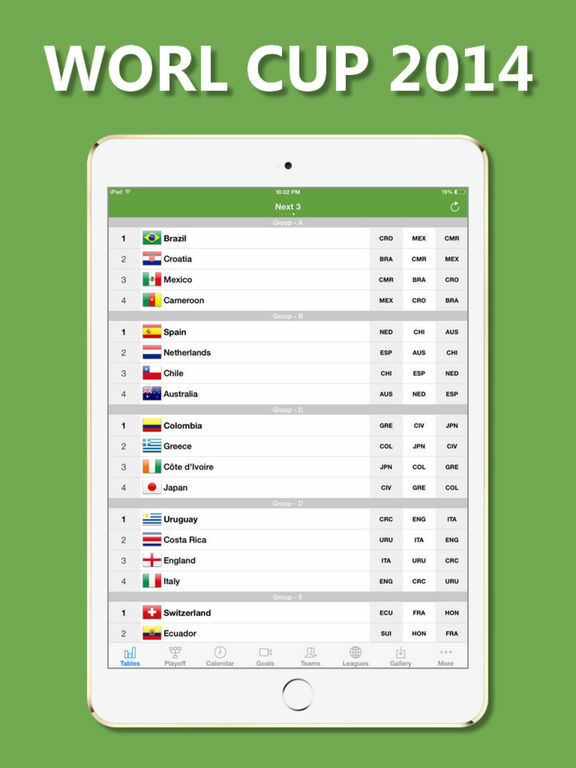 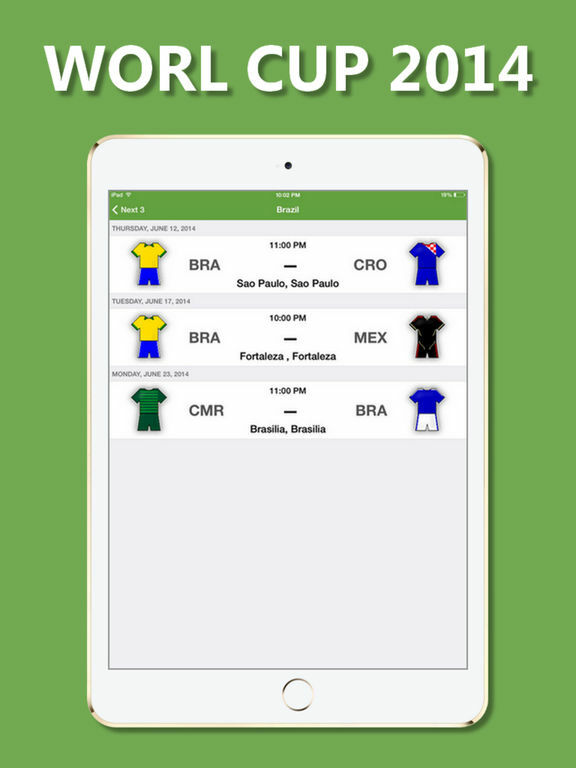 Using "World Football 2014 - with Video of Reviews and Video of Goals" you also get immediate access to the Tournament table, Schedule, Teams, Events in Matches, News and Statistics. 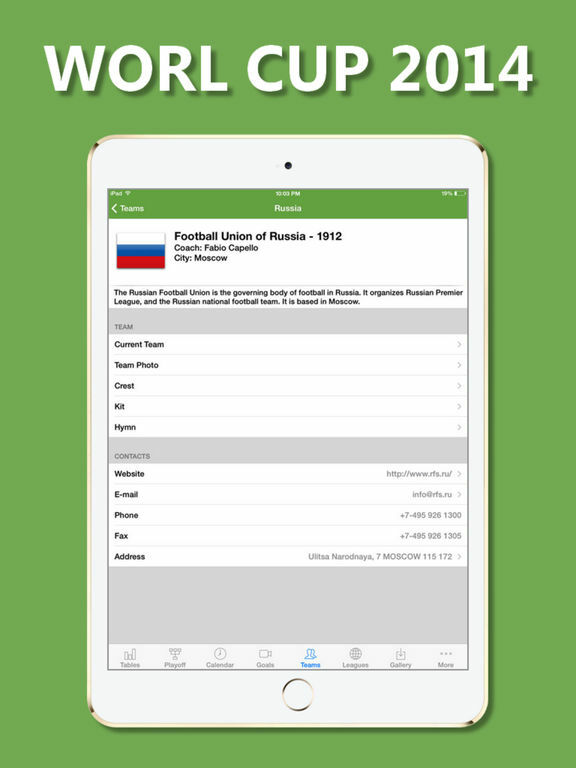 Also you can find full information about football teams - current list of players with their personal information and Photo, historical information, form and symbolics, texts and music of anthems, stadium location on the map and a lot more.